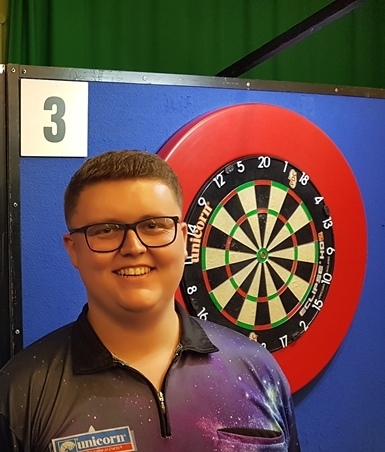 Team Unicorn Young gun Ted Evetts has claimed his second PDC Unicorn Development title in the space of just two weeks. And this latest victory takes Evetts back to the top of the PDC Unicorn Development Tour Order of Merit. He won an all Unicorn final in event 12 as he beat Dimitri van den Bergh 5-2. For the Belgian, it was a second loss in a final over the weekend. He was beaten in DT 9 by Martin Schindler on Saturday. The German claimed a superb double as he also won event 10 with a 5-1 victory over George Gardiner. Evetts beat Schindler on his way to his title on Sunday. ‘Super Ted’ also reached the semi-final of DT 11 but lost to eventual winner Ryan Meikle, who beat Rowby-John Rodriguez 5-3 in the final. Unicorn’s German youngster Nico Blum also enjoyed a successful weekend on the Development Tour as he reached two quarter-finals. Meanwhile Michael van Gerwen claimed an incredible 25th Euro Tour title as he beat Adrian Lewis 8-3 to win the Gibraltar Darts Trophy. Unicorn’s defending Gibraltar Champion Michael Smith was beaten in round two 6-5 by Jermaine Wattimena. Three Unicorn players reached the last 16. James Wade lost in a last leg decider to Adrian Lewis in a match where both players averaged 105. Joe Cullen missed three match darts to lose in a last leg to Paul Nicholson, who went on to make the semi-finals. And Chris Dobey lost 6-1 to Peter Wright.